One summer afternoon I was walking up a long, cobblestone flight of steps in a narrow alleyway in Prague. Right at the top there was a stone patio with a spectacular view of the river, the city and the castle. There was also a guy with a camera and a funny looking tripod. He would snap a picture, then carefully and precisely rotate the camera a few degrees, snap another image and so on. He told me he was capturing VR images for the web. Twenty-one years ago “the web” was right in the middle of the dot-com boom and Virtual Reality was about to break open, big-time. VR Headsets were available for Nintendo consoles, there were stand-alone VR game systems in arcades and half a dozen different ways to create and share your own QuickTime VR (QTVR) images. In the late ‘90s, building a 360-degree panorama meant: developing and printing the photos, scanning images into a computer, processing and stitching the images and then authoring the interactive elements in a specialized application. All done on hardware far less powerful than an old iPhone. By 1998, it had all come crashing down for a simple reason: no one wanted it. 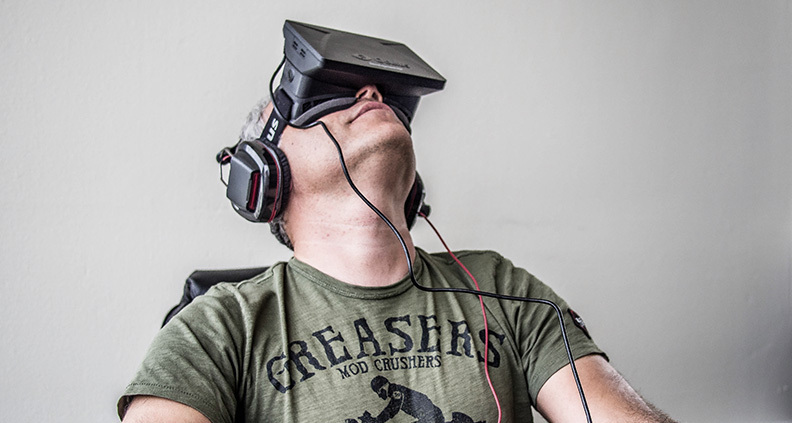 The collection of technologies that enable Virtual Reality (VR) have been available for decades. The use cases and breakthrough examples of why anyone would want to put on a headset? Not so much. So why are companies like Facebook, Sony, Microsoft and Google pouring billions of dollars into things like stereoscopic headset start-ups (Oculus) and companies with very little proof that their concepts will work (Magic Leap)? VR is a multi-billion dollar industry right now, but that is money mostly spent on buying VR gear, rather than on the content anyone is making. 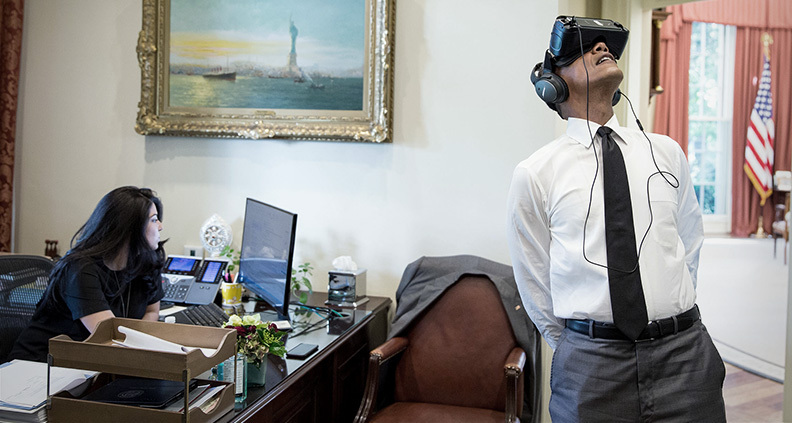 But while there’s been rapid advancements in the production and exhibition of VR media in the last two decades, there’s still the question of what to do with them. 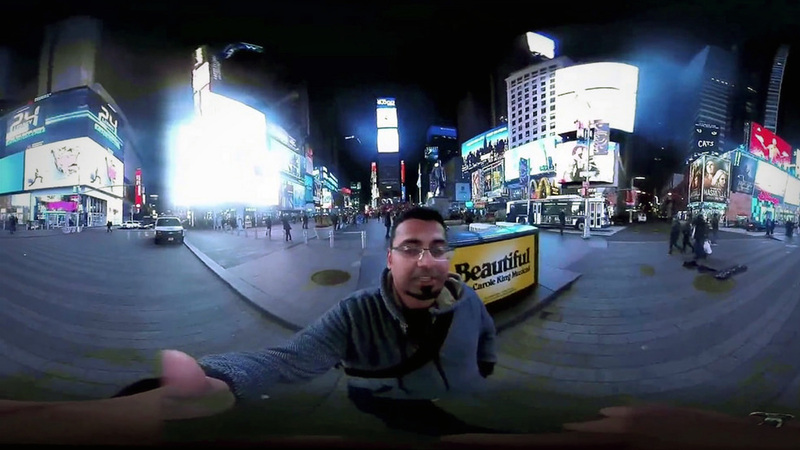 Should you, the filmmaker, tool up on 360-degree cameras and shop for a headset? 360 Filmmaking is a term that describes using specialized camera equipment to capture a 360-degree angle view of a location or scene. This can be done as a still image or motion picture, and viewed on various kinds of devices—not just a specialized VR headset. Going back in time to the early ‘90s, what Apple created with QTVR was prescient. The concept of taking multiple images with narrower fields of view, using software to stitch them together into a full surround image, and then offering up interactivity for users, are all still the concepts that underlie all VR Filmmaking tools today. While Apple’s QTVR technology is long obsoleted, the laborious snapping and snitching of panoramic images evolved into a simple push button function on your iPhone. A great example of how routine this process has become is the Google Maps “Street View” camera car, a system capable of taking and creating high-resolution 360-degree panoramic images in seconds from a moving vehicle. Clearly the idea pioneered by Apple has matured and found an indispensable role in helping us navigate the world. Filmmakers routinely use the Street View functions on Google Maps to plan shots, organize production and do virtual scouting for locations. Some have even used the Street View still images, interactivity and their own code to create compelling motion pictures. While someone has found an interesting way to make a cool video with Street View, it’s hardly an example of a revolution in filmmaking. In 2017, you can shoot 360-degree video, stitch and playback all in real-time too. Cameras range in price from a few hundred dollars to a few hundreds of thousands of dollars. The cameras are strapped to deep-sea divers and the heads of eagles. They’re found on the sets of latest super hero franchise film grinding out “additional content” for marketing campaigns. You can look at 360 content in a web browser on your computer. To navigate, you can click and drag, spinning the “virtual camera”—but this is a truly awful way to view 360 content. If you want to develop RSI or carpal tunnel, spend a few hours navigating 360 movies with a track pad. 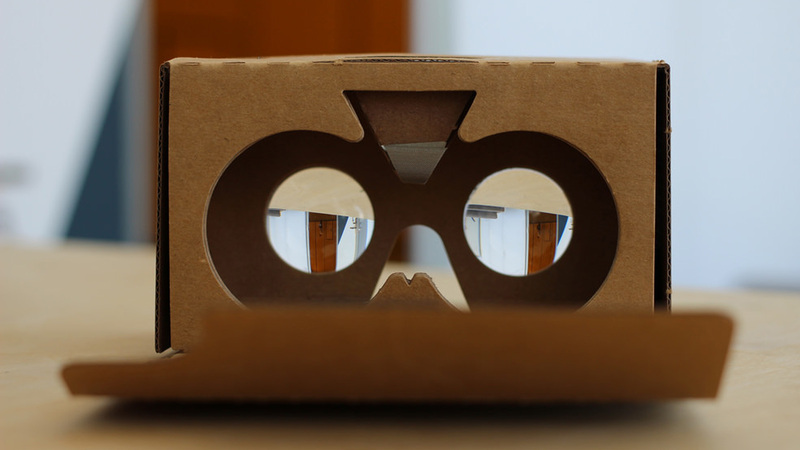 Viewing this content on a mobile device or VR head set where the movement of the device controls the movement within the video is a much more humane way to do it. All you have to do is point your head, or move your screen, in the direction of where you want to look. Step one, place ball of cameras in center of room. Step two, push red button. Step three, run and hide! This is the curse and blessing of any new technology. You have to figure out how to make it interesting and connect with audiences who have no idea what it is, and are expecting something they are already familiar with. Which means that it’s probably not something you’re going to pull off in a movie theater, or over the internet. Take a look at this write up about “Carne y Arena” from Gonzalo Inñáritu, the director’s first VR project that screen in an airplane hanger at Cannes this year. The project sounds like an art installation, experimental film and technology demo all rolled into one. It sounds compelling and artistic. But it requires a lot more resources than just a low-budget 360-degree camera. A new technology can appear at first a liberating and boundless palette, only to send artists running and ducking for cover in known methods and styles. This is how a VR camera that only shoots 180-video can be considered an improvement. Google introduced a new camera, a new format and a new paradigm in June of this year with VR180. 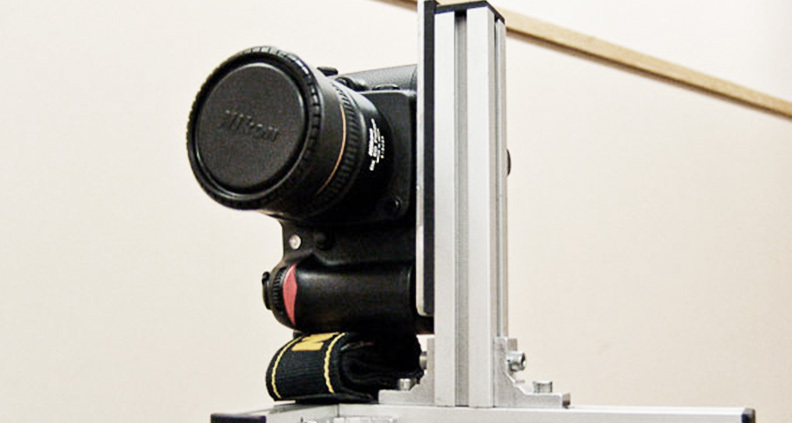 It’s a simpler camera system and a format with far less processing requirements than 360-degree video. So it solves some big technical headaches associated with a fully immersive rig, while offering up a data stream much friendlier to wireless, the web and anything not tethered to 10 grand worth of hardware. In production, you know can do those old school techniques like shot composition and framing. So it’s new but something familiar. However, it does leave me asking the question, how much better is it than walking into a cineplex and watching a movie, or a 4K stream on a 65 inch home theater? The most revolutionary (cough-cough) thing about 360-degree video maybe the very fact that it is not cinema, that it is immersive with no director telling an audience which way to look. Are audiences actually ready for that? We’ll see if I am writing this article again in 20 years.